When we heard the guys at Keepitclean were running their first show we knew that a road trip was in order. On Saturday evening a group of 10 cars met at the docks ready to set off for Cleanfest. A few of the cars where only finished a couple of minutes before leaving with Ruairi still screwing parts of his e36 together on the motorway. Once on the boat we soon found out that the staff do not appericiate mirco scooter races around the corridors. However we managed to stay aboard the boat long enough to get to Scotland. They hadn't finished with us yet though, the police where waiting ready to advise us that in Scotland we need to have front number plates. Once on the motorway, a few hours of travelling went pretty quick with Marky entertaining us in his Mercedes CLS 55 AMG, the noise is enough to make anyone smile. Eventually we arrived at Fife Airport around 5am, even managing to beat Greg with the keys. One of the cars in our convoy was Nialls Z4. 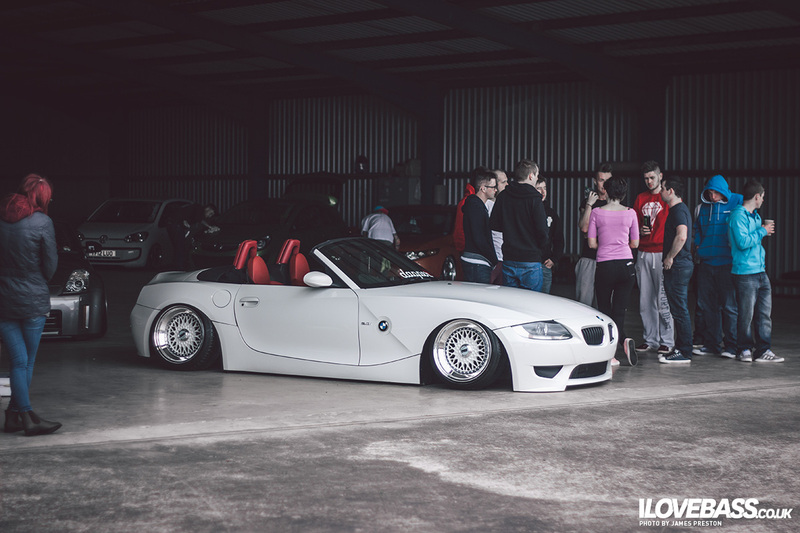 Making it's first appearance eariler this year at Dubshed on our stand, Niall has brought the Z4 back out to play with a refreshed look. Which allowed him to deservedly pick up Car of the Show. Mr Begley also turned up to show off his new fifteen52's! 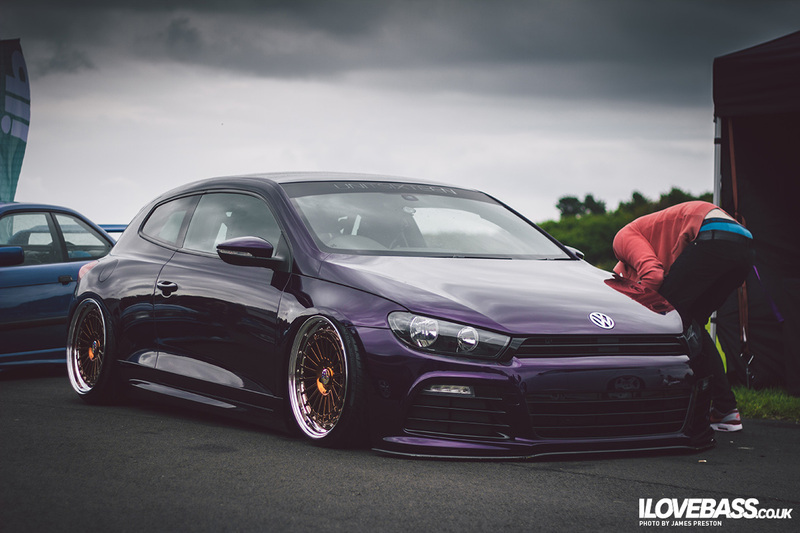 Which is definitely my favourite look so car for his Sirocco. 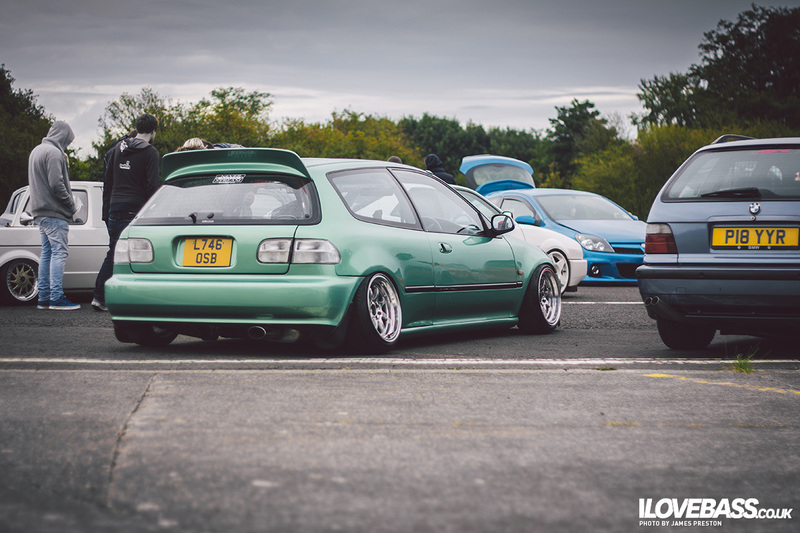 There were also a couple of crazy EG civic's about, but this was one was a personal favourite. 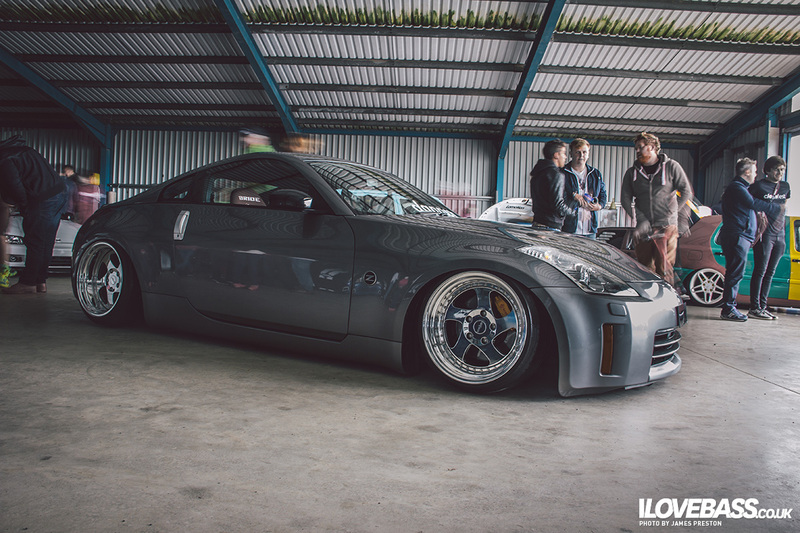 Another man that's no stranger to ilovebass is Steven Toner, and this time he's went to town on his 350z! Despite the rain, there was a great turn out with some awesome car's we haven't got to see before. Unforuntaley the trip home didn't go so smoothly with a broken sump, some angry police men and some very exhausted guys. But, with that said - we got there in the end.